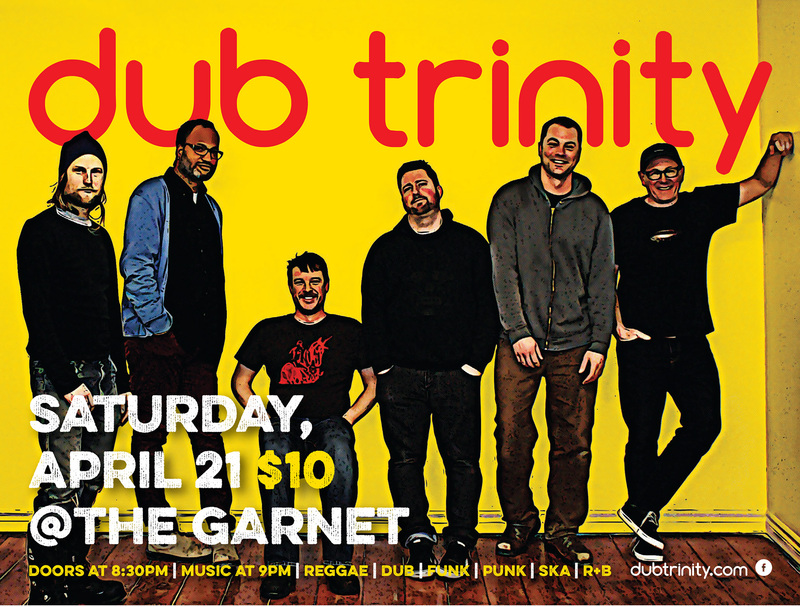 It’s a punky reggae party! 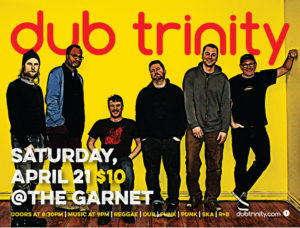 Come on out and shake the dance floor at the Garnet with Dub Trinity. An early evening. Doors open at 8:30 and music starts at 9:00.